We have a Special Olympics team! Click here to learn more! April 26-28th: The Able Church Spring retreat is a highlight for our attenders of the Able Church who are interested in having a great weekend of high-energy fun and being spiritually fed with our guest speaker. All applicants must capable of doing their own self cares. As in the past, we will have a nurse on hand to administer routine meds, but they should be blister packed. Please make sure to get that done before you leave. This year’s date will hopefully ensure that the weather is warmer, however we have a number of activities that are outdoors so be sure to bring boots, jacket, gloves and a hat. What is the Able church? The Able Church is made up of people with various disabilities and others who support our community. Our goal is to fulfill the call God has on our lives, to serve and glorify Him. Our core message is that God made me, God loves me and God has a plan for my life. The Able Church, a ministry of Camp Daniel, embraces people with disabilities, their caregivers, families, employers and friends. 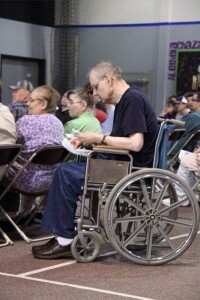 We allow people with disabilities to play a major role in the way our church is run. Defining disability as people who need a little help, The Able Church embraces and promotes the many talents represented by our members. 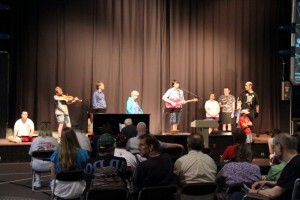 People with disabilities preach the Word of God, lead music, conduct offerings, help with special music, and perform other church responsibilities. Our church has a strong emphasis on the preaching of the gospel and the teachings found in the Word of God. We are not ashamed of the gospel of Jesus Christ as found in Romans 1:16 I am not ashamed of the good news. It is God’s power. And it will save everyone who believes… and we firmly believe that there is power in His name to save. 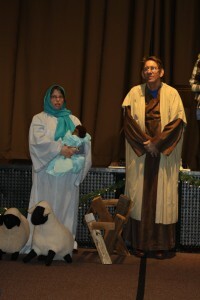 Our church services are somewhat unconventional as compared to many mainline church services. We incorporate teaching opportunities through skits, puppets, object lessons, group activities and other creative measures. Our objective is to create teaching moments that maximize the impact to cognitively disabled people. After our church service from 7:30 to 8:00 pm we have a snack time where our members socialize and create a stronger community. Fridays 6:30 PM to 8:00 PM located at the Erickson activity Center, found in the rear of Living Hope Church. located at the Erickson activity Center, found in the rear of Living Hope Church. Tuesdays at 5:00 PM to 7:30 PM – located at the Erickson activity Center, found in the rear of Living Hope Church – located at 1840 W. Mason Street, Green Bay. Our Able Family Night generally has a Special Olympics practice that fits the sport we are participating in that season. September – December is Volleyball and bowling, December – April is basketball and April – May is bocce ball. Practices begin at 5:00 pm and are followed by our traditional meal of pizza. Our Tuesday evening Bible study starts at 7:00 pm and goes to 7:30 pm. 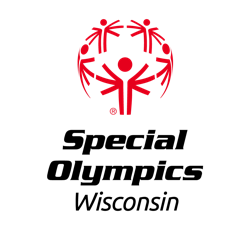 We believe that studying God’s word and participating in Special Olympics is a wonderful way of feeding our spiritual minds and exercising our bodies in one fun evening event.